Managed a lovely first smoke in my Bjorn Thurmann 3 knuckle Bamboo shank with MC 2000 and a delightful concentrated Brazilian Cerrado topped with a double Cuban espresso riding out one of Stormy's deluges under my umbrella. 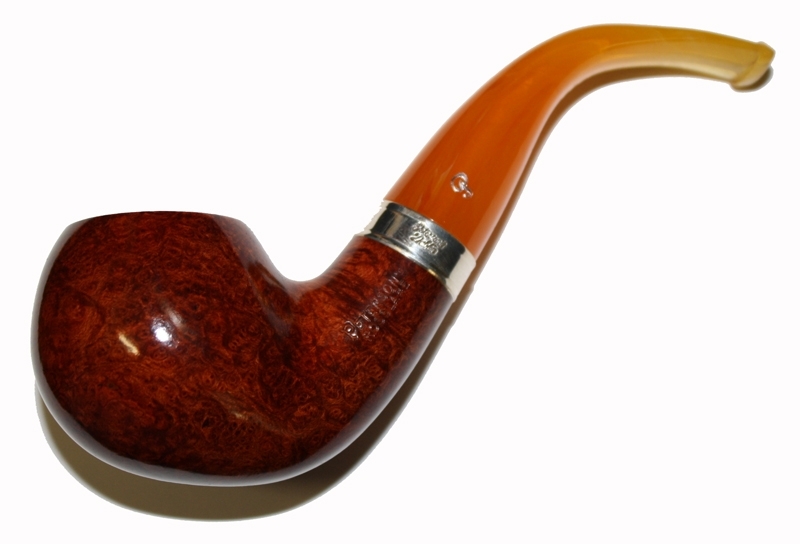 OGS in a plain Meerschaum billiard with a straight stem. 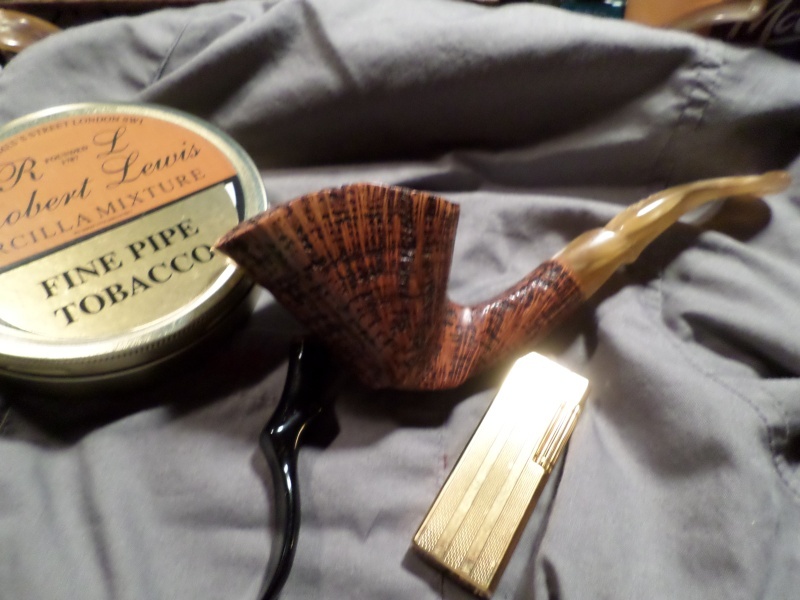 Very plain pipe without any frills but the tobacco and taste are outstanding. Not wishing to play Russian Roulette with Stormy with a glorious 1 1/2" thick Swordfish Steak I decided to use the cast iron skillet with the thick ribs in it under the broiler so I preheated it while baking the new red potatoes then cranked up the heat to Broil and rubbed what would be the bottom of the steak with an herbal butter with lemon and lime juice. It sizzled nicely when it hit the grille pan and I buttered the top and cooked it for half its time whilst sauteing some Crimini and baby Portabello mushrooms, steaming some fresh garden green beans and corn on the cob. Smoked the Former Blowfish with some Late Night in between visits from Stormy and checking on the status of what I was cooking. Our repast was wonderful and complete with a nice 2007 Brut to wash it down with then I finished the Late Night in the Former Blowfish for dessert, life is good, Stormy be damned! 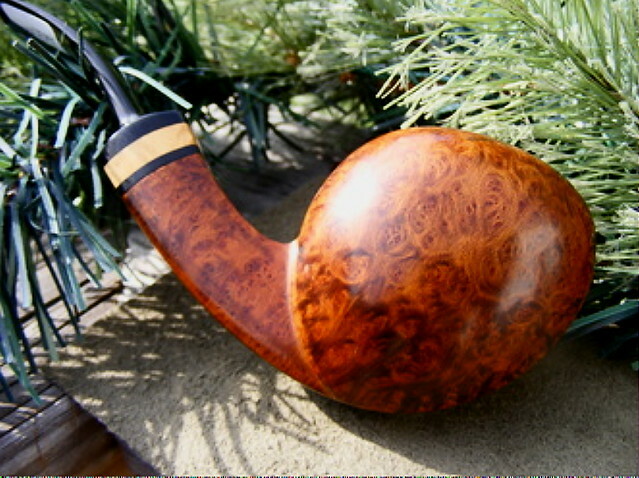 Year 1963 Philip Morris Field and Stream in a 1979 medium bend etch relief meerschaum lined TinderBox Arabesque. A newly re-discovered rhodesian lat blend from Sturk's Tobacconist in a Comoy's. Great blend! 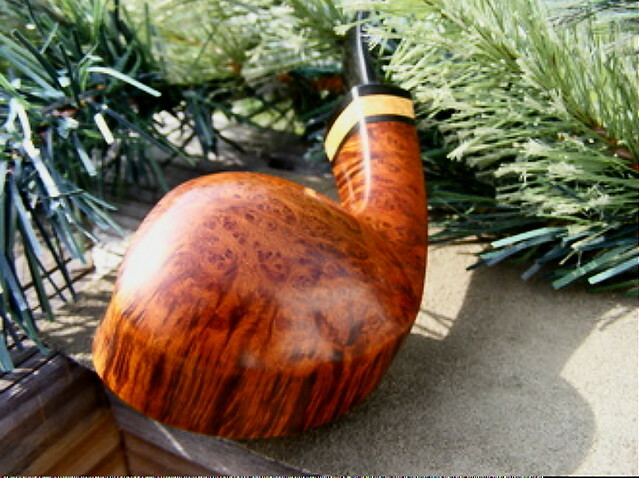 Erinmore Blend in a Savinelli Bing's Favorite. Again it's McCrainie's Red Flake in an Edwards Coachman. Quite good really. 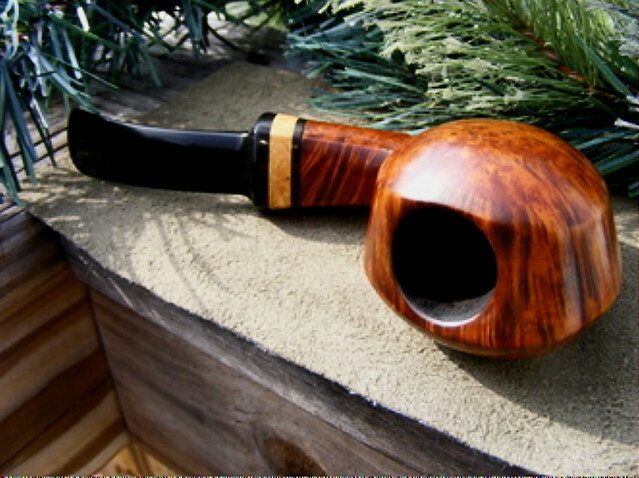 Listing my next smoke early: Full Virginia Flake in a slight bend 1968 group 4S Dunhill Shell 475 cherrywood. 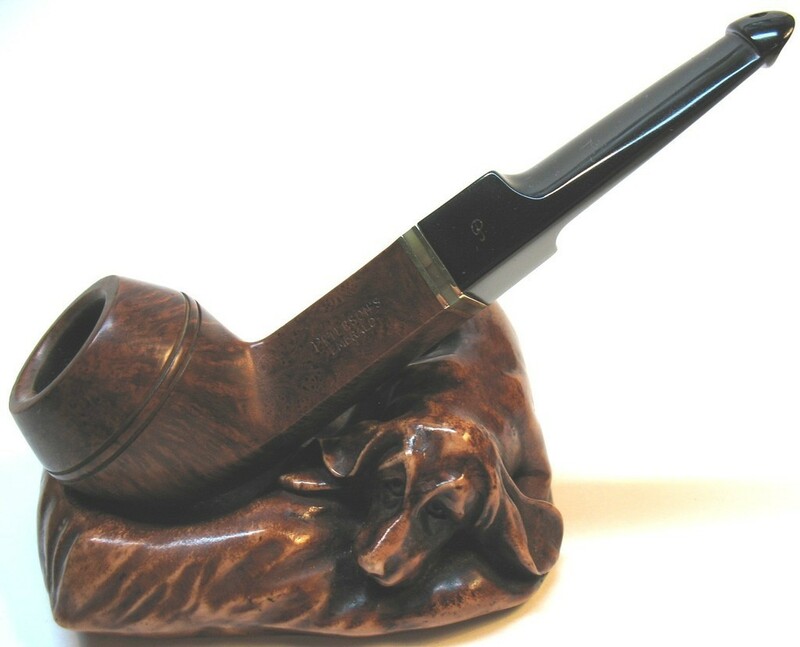 After jogging and a shower, loading a full bowl of Dunhill Elizabeth Mixture in Peteson Bent Bullcap Blue, second smoke of the day, puffing with Vietnamese ice tea...What a beautiful Summer day in American land..! Christmas Cheer 13 in a Georg Jensen freehand (40's edition). GLP Navigator in my estate Tillshead 'dog after work. Got some aged 2015 w/15% added p-weed up for next, in my trusty Wiley Rhody. 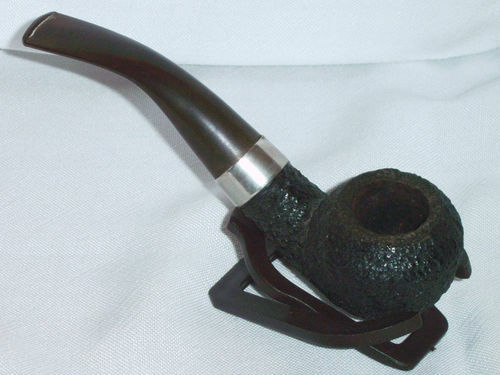 Rekamepip's Pressed August Blend in a 2013 slight bend grain etched briar Rekamepip Volcano with a walnut shank.